I was watching one of the scenes from a Bollywood film where Shah Rukh Khan was mentioning about Bees dying on the signals of Mobile and that would be a threat to mankind. I wanted to know more on that subject and found interesting and surprising things about Bees. This was the excerpt given by Einstein about Bees. Bees are responsible for Pollinating the Crops, Flowers and Vegetables which in turn converts the Co2 into Oxygen. Just think of the catastrophic if Bees becomes Extinct, mankind would be able to survive only for few years. There is no proof yet that it has been said by Einstein! But, yet we need to care about the ecological system and preserve these Bees. Colony Collapse Disorder is what been named on the loss of Honey Bees. 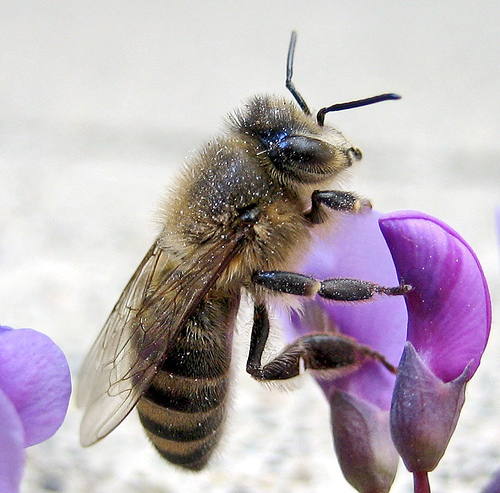 It’s estimated that one-third of all the food we eat relies on bees for its production. Cereal crops are wind-pollinated but virtually all fruit and many vegetables are insect-pollinated, overwhelmingly by bees. ← Previous Post Citibank in Trouble! Next Post → Greatest Jobs on Earth! very useful information……expecting more like this……!!! I like it… I don’t know that bees are responsible for converting Co2 into oxygen. Its amazing never expected. Thanks for sharing this innovative creation by bees. Its unbelievable article such a interesting and innovative story about bees i have never seen and listen in my life… hey please send me more interesting facts of other species.